SceniQ software is a brand new system that delivers precise control of all aspects of lighting for lighting designers, installers, bands and DJs, like nothing before. It is ideal for both live performances and prerecorded shows. 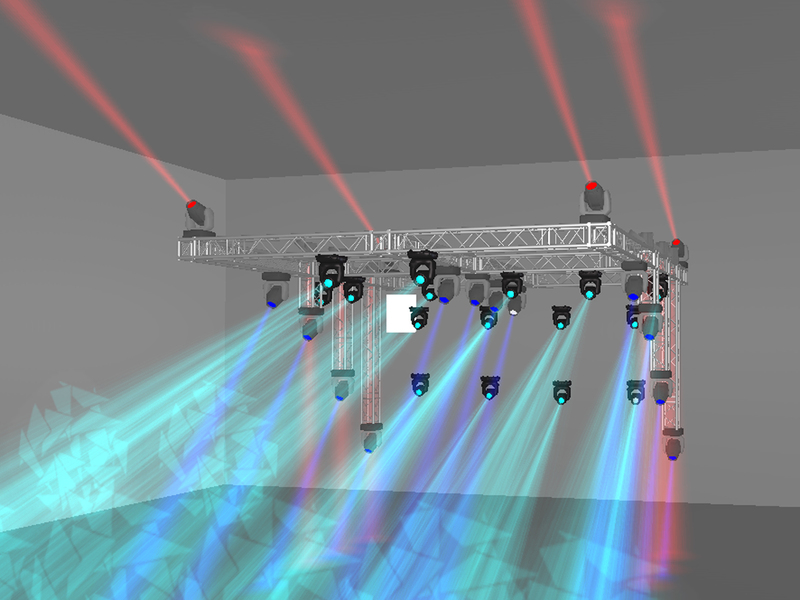 There are a wide variety of control options that facilitate incredibly innovative and exacting live programming or you can design the perfect lighting effects in advance using the 3D visualizer. Control the show directly from your MAC or PC, integrate control with external DMX or MIDI equipment already in your rig, or even take control wirelessly with your Android or IOS devices. Whether on a stage, in a theater or used for architecture, SceniQ gives you true freedom of creativity and expression coupled with amazing ease of use. • Get detailed audio information by filtering and displaying the waveform via frequencies or mono and stereo signal separation. 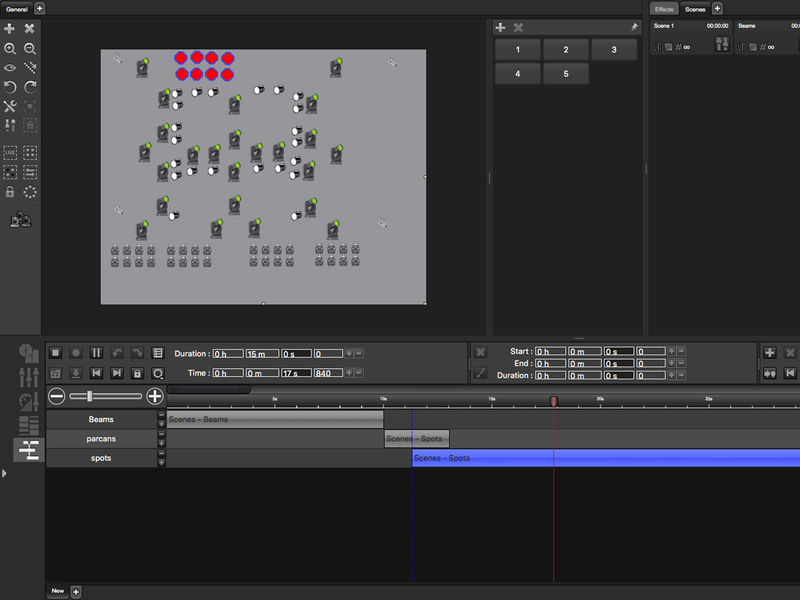 Included with SceniQ DMX control software is SceniQ View 3D real-time 3D emulation software for off-line programming. It is 100% compatible with Windows and MAC OS. Within the 3D viewer, users can render Beam, Wash, Spot, LED, Laser effects immediately. It is easy, powerful and an automatic Truss assembler enables the user to create any stage quickly. • Real simulation of all common lighting effects. Including Lasers, Beams, Spots, Washes, and LED walls. 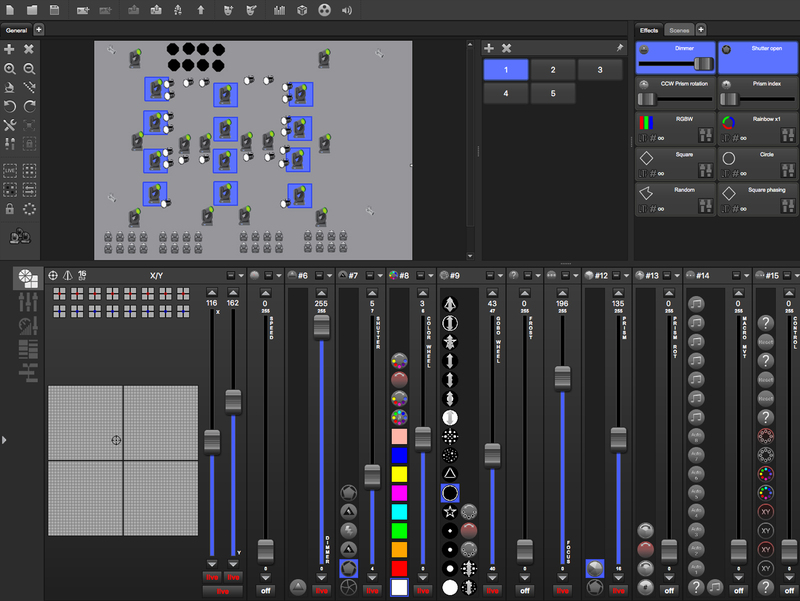 • Accurate rendering of fixture parameters like Gobo, double Gobo, 10 facet Prism, Focus, Iris, Zoom, Rotation, Indexing, Dimmer, Shutter, single color, split colors, RGB, CMY, frost rendering and effects.